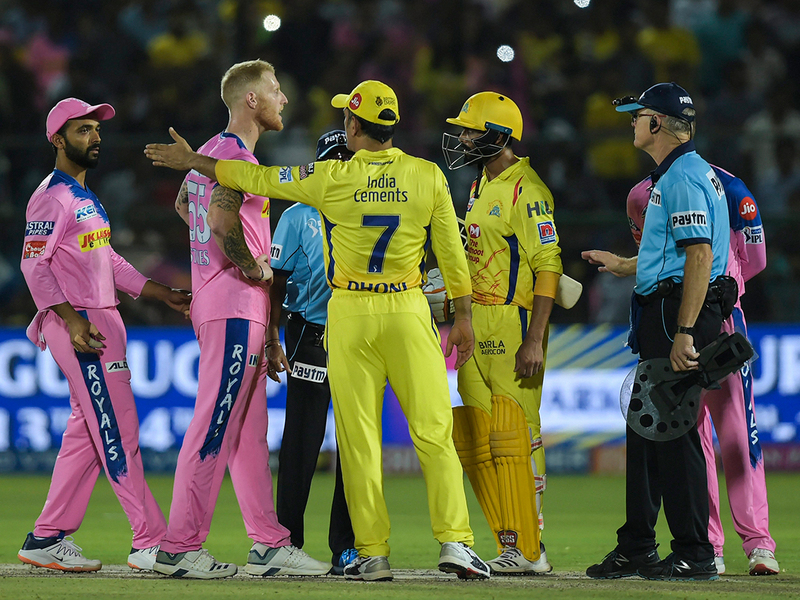 The standard of umpiring in the ongoing Indian Premier League has become a topic of debate following a few instances in which they blundered. Their errors have become a bigger controversy with India’s two great players Virat Kohli and Mahendra Singh Dhoni reacting strongly against their decisions. Today, more than the mistakes by the umpires, it is the reaction from the Kohli and Dhoni that are being hotly debated. Kohli spoke strongly against umpire Sundaram Ravi for failing to spot a no-ball, though the ICC Code of Conduct clearly states that players should not publicly criticise umpiring decisions; Kohli was not even reprimanded. Dhoni stormed into the field and had an angry confrontation with umpire Ulhas Gandhi, who backtracked after calling a no-ball. Many feel that the punishment given to Dhoni, which is 50 per cent of his match fee, is too low. While it is true that the two umpires erred in their decisions, they were not deliberate. But the two stars deliberately committed the mistake of questioning the umpires. Both Dhoni and Kohli got carried away by the desire to win the match, and it is a spur-of-the-moment reaction. They also know that it was a momentary decision error by both umpires, given that umpiring today is not an easy job. Cricketers who question umpires should realise that a batsman can escape with a poor shot and bowlers get another chance despite bowling a poor delivery. Even fielders drop easy catches. So, as humans, everyone makes mistakes on the field, and umpires are no exceptions. The least cricketers can do is to respect them. It is well known that umpires do a thankless job. Their right judgements are rarely appreciated, but when they commit a mistake it is always blown up. Years ago in Mumbai, I had attended an umpiring class by the late Test umpire A.M. Mamsa. He was well-known for grooming umpires and had remarked that the best umpires are those whose names do not appear in newspapers and fans leave the stadium without even knowing who officiated in the match. To officiate in India, especially in front of a vociferous crowd of over 30,000, requires utmost concentration. Umpiring howlers are not new in IPL, as every year there have been many blunders. But when top players react strongly against them, then umpiring becomes a topic of discussion. Getting into the umpiring profession in India is not easy. They need to go through intense classes, then appear for a written, practical and viva examinations at many levels, and even undergo medical tests. They also attend induction courses where any doubts on the laws of the game are addressed. Those who hit out at umpires should remember that like cricketers, umpires too will never deliberately want to commit mistakes.